The Aruba MSR1200 has been discontinued. No direct replacement is available. 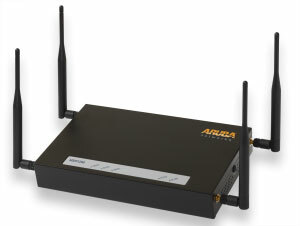 The Aruba MSR1200 delivers high-performance wireless mesh routing to indoor environments where wired connectivity is impractical or unavailable. Ensuring seamless mobility with Aruba outdoor wireless mesh networks, the MSR1200 is ideal for indoor deployments where backhaul cabling is difficult to deploy, such as in large retail centers, convention-sites, warehouses or when a temporary network is needed.